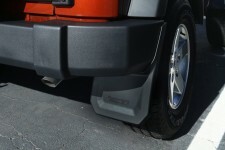 Industry's first complete vented fender liner! 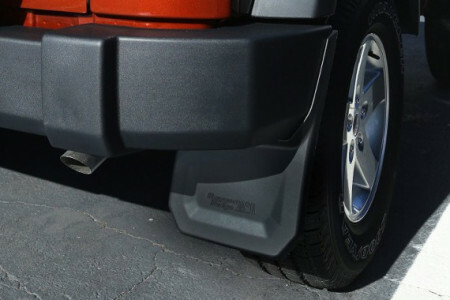 Brake-formed from high-quality sheet aluminum, the Crawler Conceptz Inner Fender Liner installs easily with minor drilling and adds additional clearance for oversized tires. 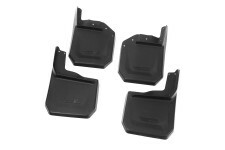 This 4 piece black plastic splash guard kit from Rugged Ridge fits 07-18 Jeep Wrangler. 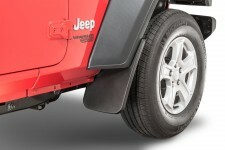 This pair of rear splash guards from Rugged Ridge fits 07-18 Jeep Wrangler. 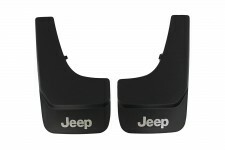 This pair of front splash guards from Rugged Ridge fits 07-18 Jeep Wrangler. 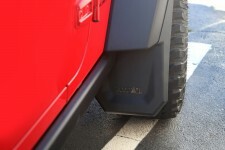 These front Molded Splash Guards add an extra layer of protection from rocks, mud & snow while adding style to your Wrangler JL. 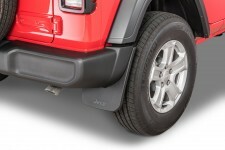 These rear Molded Splash Guards add an extra layer of protection from rocks, mud & snow while adding style to your Wrangler JL. 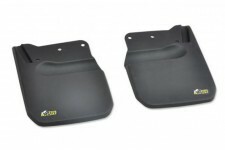 A pair of original MOPAR mudflaps for the Jeep Grand Cherokee WJ. 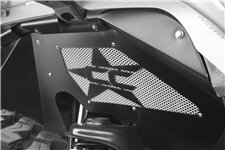 They fit both the front and the rear.